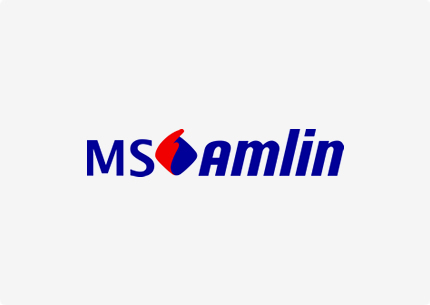 MS Amlin is a leading insurer specialising in providing insurance cover to commercial enterprises and reinsurance protection to other insurance companies around the world. By developing an in-depth understanding of our clients’ needs, our tailored solutions enable our clients and their businesses to continue should they experience a loss event. Our experienced team of specialist underwriters and claims personnel are backed by strong financial security ratings and an established presence in the ILS market through Leadenhall Capital Partners. Our reinsurance business is highly rated by independent rating agencies. MS Amlin AG: A.M. Best A (Excellent), Moody’s A2 (Stable), Standard & Poor’s A (Stable) and Fitch A (Stable). MS Amlin Underwriting Limited: A.M. Best A+ (Superior), Moody’s A2 (Stable) and Standard & Poor’s Lloyds Syndicate Assessment 4+ (Stable). With over one hundred years’ experience in reinsurance markets, our track record is built on a proven strategy. Our teams apply our successful underwriting formula, incorporating a dynamic approach to risk, all the while developing a geographically-diverse, global portfolio. We offer significant capacity and expertise across our reinsurance classes. Coverage is worldwide and written on an excess of loss, proportional and facultative basis. Our focus on continuity ensures strong, long-standing client relationships; in many cases going back to the establishment of our clients’ reinsurance programmes for these specialist classes. Reproduced with the permission of MS Amlin. Copyright 2016 MS Amlin. All Rights Reserved.